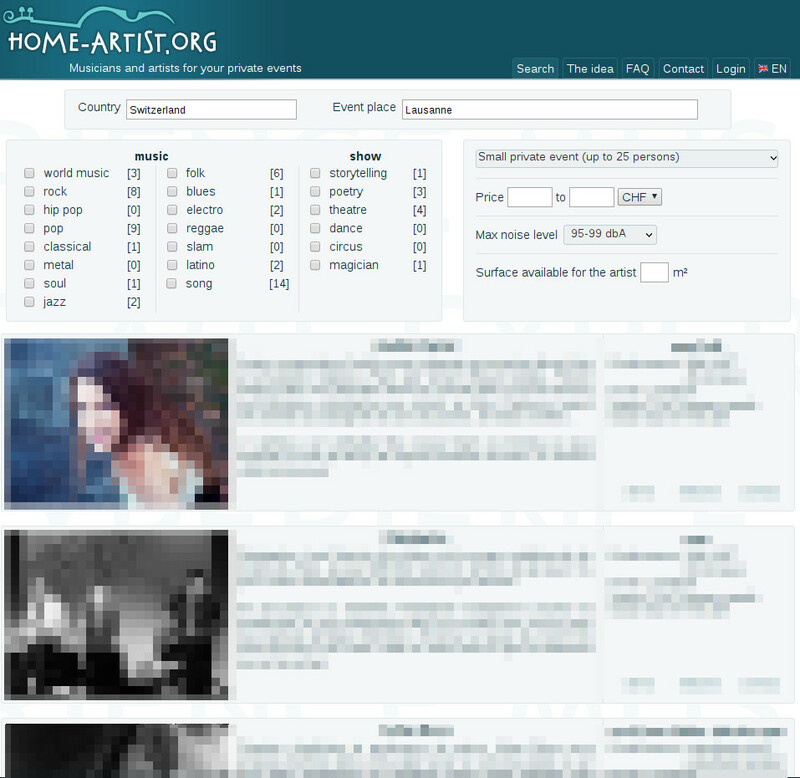 The home-artist.org web site was a personal project meant to have more home concerts to happen. The idea was to make it more simple to find and choose the self-published artists through a few filters: style, distance, noise level and technical requirements. The project is now on halt, but feel free to contact me if you have any interest into this project. I truly love the idea of home concerts and I'm not searching for any financial interest.